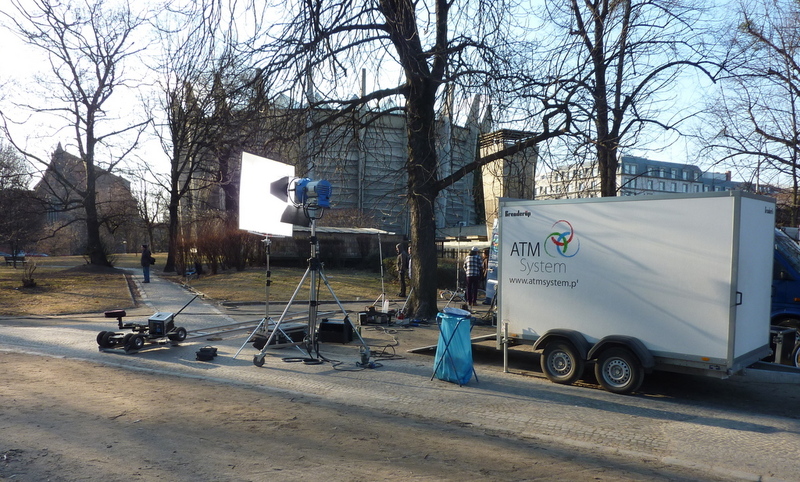 I happened to come across a film crew today while walking back from work. I’m not sure what it was for, nor did I recognize anyone on the shoot. 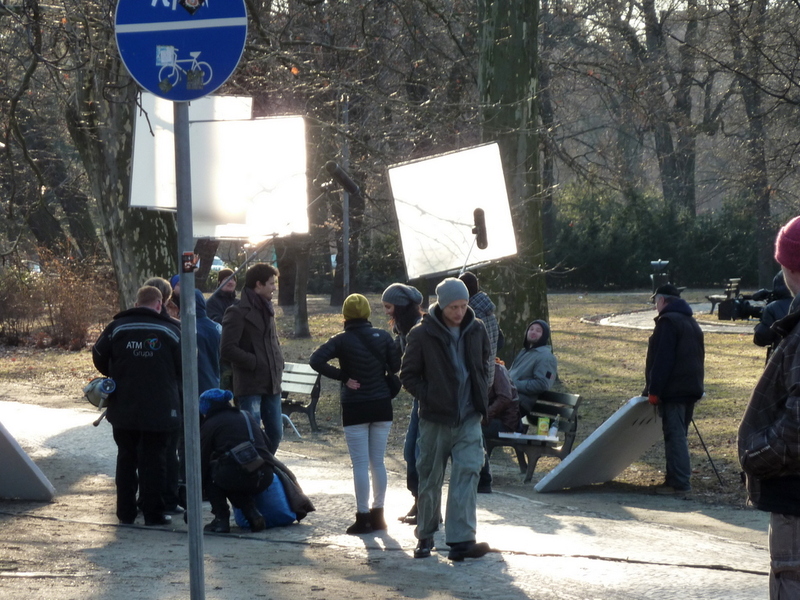 At the same time I don’t really care much for the Polish movie scene and probably wouldn’t recognize a known actor or an actress if they walked right by me. Yet it was still cool to see here what I’ve seen so many times back in L.A. In comparison to their Hollywood counterparts it was a very small film crew; couple of trucks, one camera, a guy with a loud speaker telling everyone what to do… I probably would have stuck around a bit longer but some heavy looking dude taking his security job way to seriously chased me away as soon as I took these two photos. I do wonder however who was in the clear: I was taking photos in a public park, if they film in public than I should be allowed to take photos, right?